We use factory scanners to first diagnose any problem you may be having with your diesel vehicles. This is the best and quickest method to pin point any problem and to solve them. 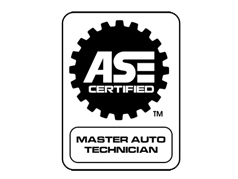 We specialize in diesel electronics, diesel computers, fuel systems, turbochargers, turbo services, engine repairs, performance tuning (including air filters, exhaust systems & computer upgrades), electrical problems, brakes, suspension repairs, air conditioning and most other general repairs. Ford – F250, F350, F450, F550, Excursions, International 6.9, 7.3, Powerstroke 7.3, 6.0, 6.4, 7.2 engines, LCF 4.5 engines. F650, F750 with Cummins and CAT engines. Chevrolet –C2500, C3500, C3500HD, C4500, K2500, K3500, K4500, G20, G30, Duramax 6.6 engines. Many other trucks, light duty and medium duty with diesel engines. We are a full service truck repair shop.